Parliament has recently adopted a proposal for a national strategy for bees and pollination to ‘ensure continued diversity of wild bees and other pollinating insects’. It’s still too soon to say what this will involve but there are things we can all do right now to support biodiversity and help encourage pollinators into the garden. It doesn’t matter whether your garden consists of a few pots on a small balcony, a vegetable patch or a garden the size of a football pitch! Plant colourful, single petalled flowers. With just a handful of seeds you can produce a mass of nectar rich flowers that will be attractive to bees, butterflies and hoverflies (Syrphidae insects). The Hageselskap’s bee campaign ‘Summendehage‘ lists bee friendly flowers here with their Norwegian common names. Help pollinators find food over a longer period by growing flowers that bloom early and late in the season, not just summer. Spring bulbs like crocuses or daffodils, Primulas or hellebores offer an important source of nectar early in the season whilst sunflowers (Helianthus), asters (Symphotrichum species) and heathers (Erica species) are good for late season. Grow a pot or window box of bee-attractive herbs like Thyme, Oregano, Mint and Chives. Create a home for a bee. Make a bee hotel, or a bumblebee nest box. 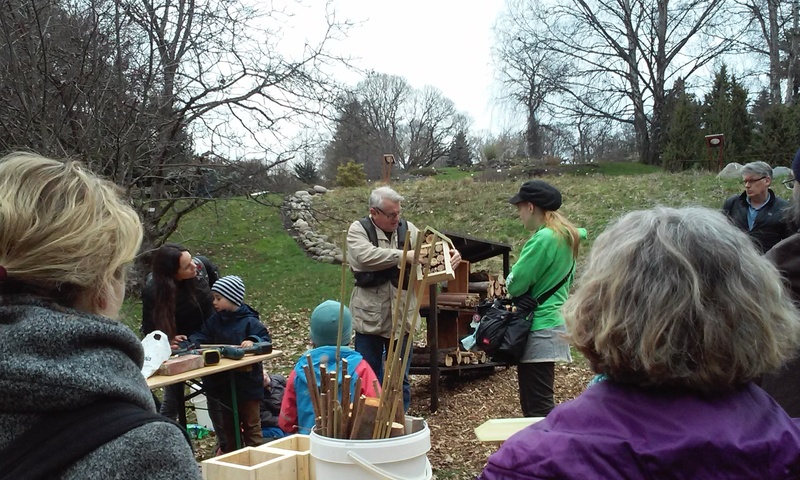 Spring is a good time to do it and you can find simple tutorials with different methods online. I’ll be incorporating a lot of flowers alongside vegetables. They help to attract pollinators which in turn helps the vegetables. Squash is an example of a vegetable that relies on bees to pollinate its flowers, so planting lots of flowers alongside it will increase the chance of bees finding it. Not only that but by interplanting Calendula, Sunflower, Dianthus and Zinnias alongside my vegetables, they provide natural pest control by helping to confuse or repel pests such as slugs, aphids and whiteflies. If that wasn’t enough, the petals of Zinnias, Calendula, Dianthus, Centaurea and Borage are also edible. I’ve just started sowing some of the flowers today. 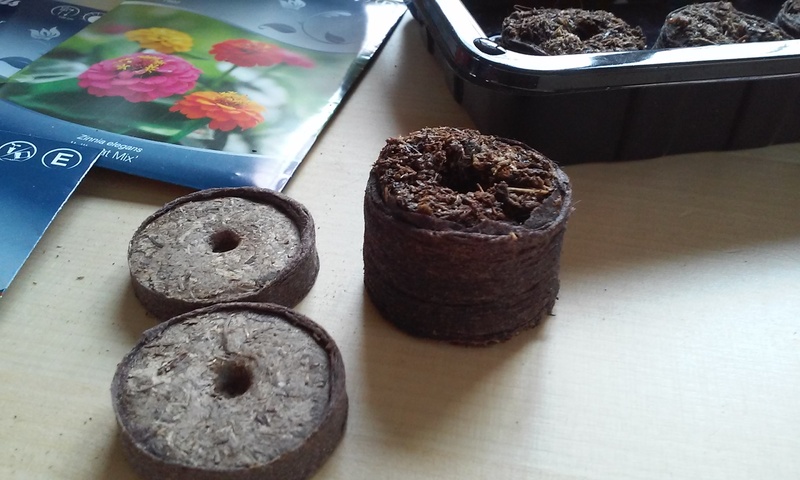 I’ve used some homemade newspaper pots and water expanding coir ‘pots’. I’ve never used the coir before so time will tell as to how successful they are. 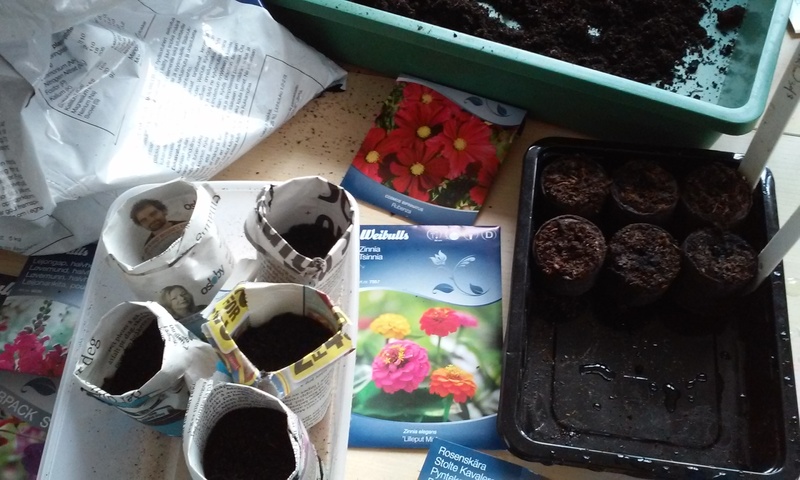 It’s good to sow some seeds early indoors to give them as long a growing season as possible. Categories: Gardening in Oslo | Tags: annual flowers, attracting wildlife, bees, hageselskap | Permalink.